Today I want to tell you all about my favourite street in Oslo. 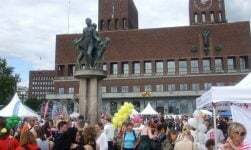 It's not the grand Karl Johan, taking you from the Central Station all the way to the Royal Palace. 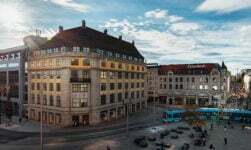 Neither is it Aker Brygge, with its people watching qualities and Mövenpick ice cream stands. 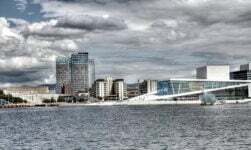 It's not even the main drag through Grønland, which hosts great value curry houses and some of Oslo's best bars such as Gloria Flames, Asylet and Dattera til Hagen. 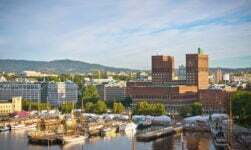 You must head north from the City Centre up Torggata and over Ankerbrua to the home of the Oslo hipsters, Grünerløkka. 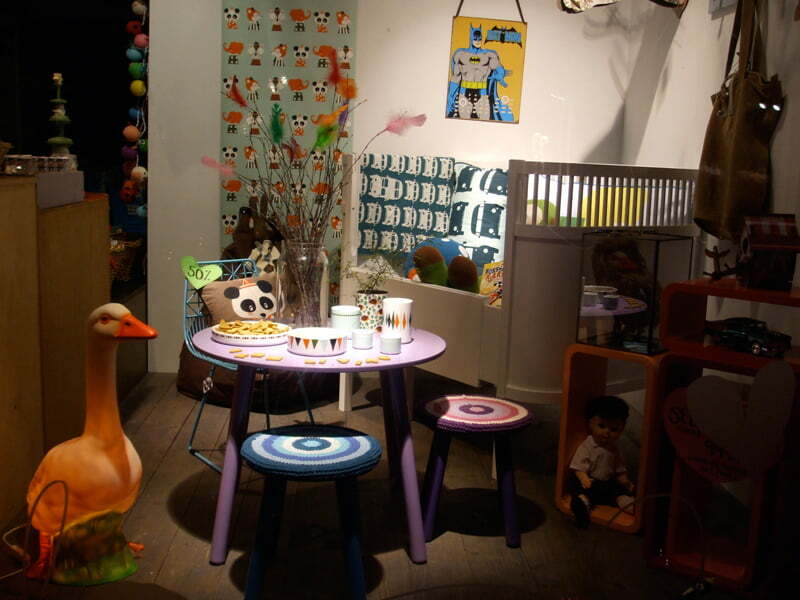 It's here you will find the boutiques and cafes of Markveien. 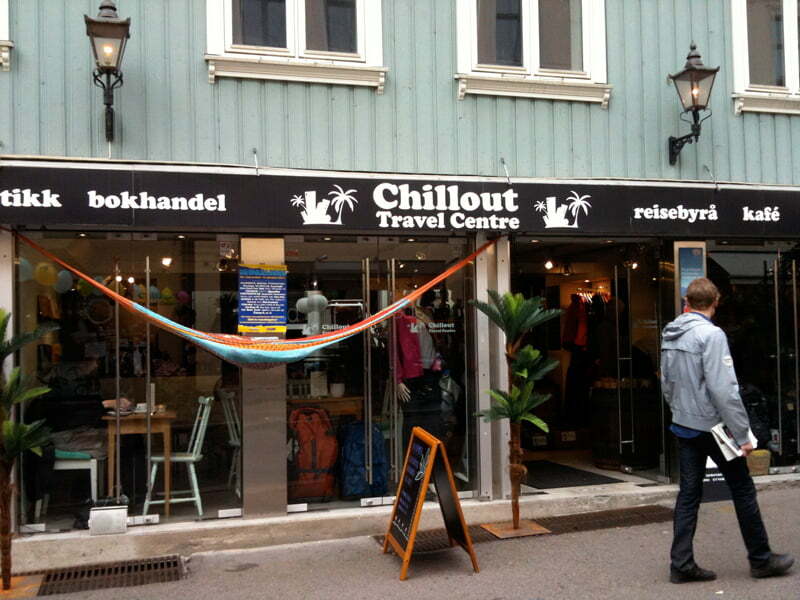 I first discovered Markveien heading to the Chillout Travel Centre, a great cafe/bookshop that I've blogged about before. 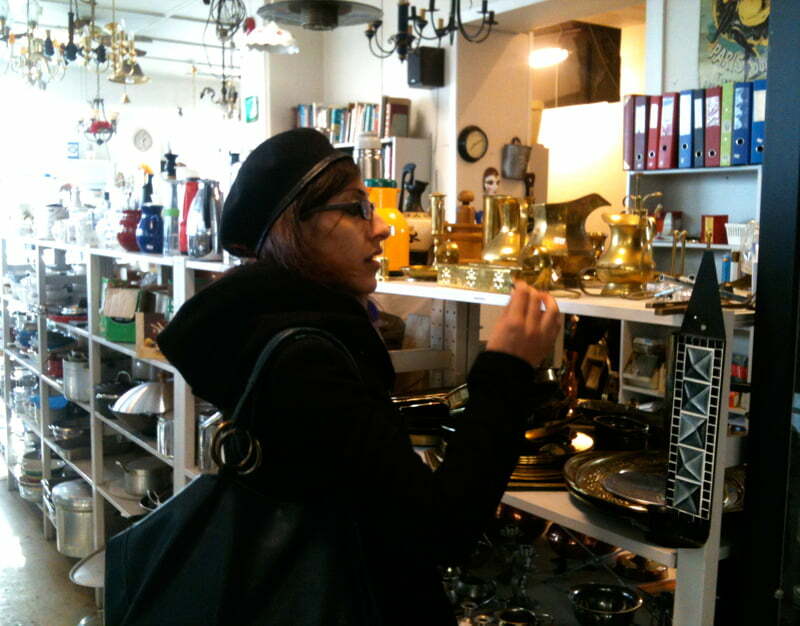 Its relaxed atmosphere makes a great start or end to your shopping trip, particularly if you have even a passing interest in travel. If you don't, their coffee and buns will keep you happy I'm sure. It's at this bottom end of Markveien, between Ankerbrua and Olaf Ryes Plass, where most of the action is. 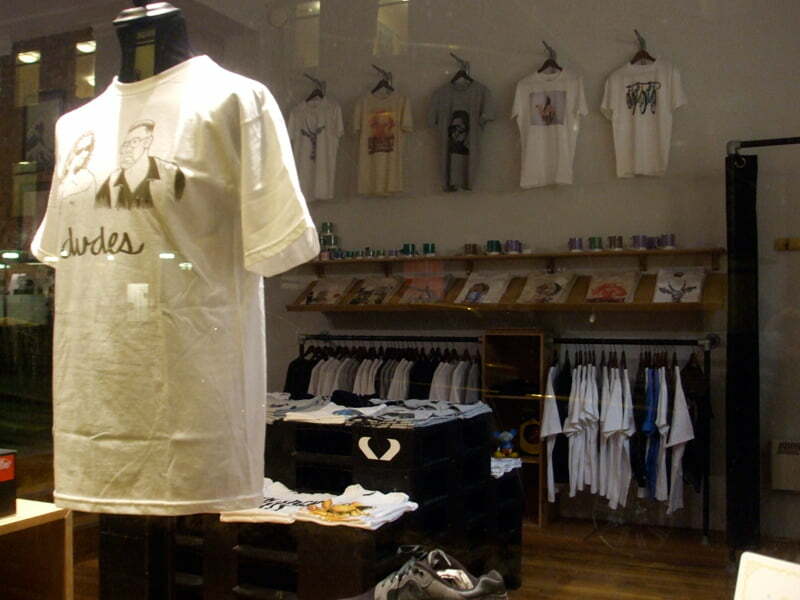 Trabant Clothing is typical of the businesses you find on Markveien. 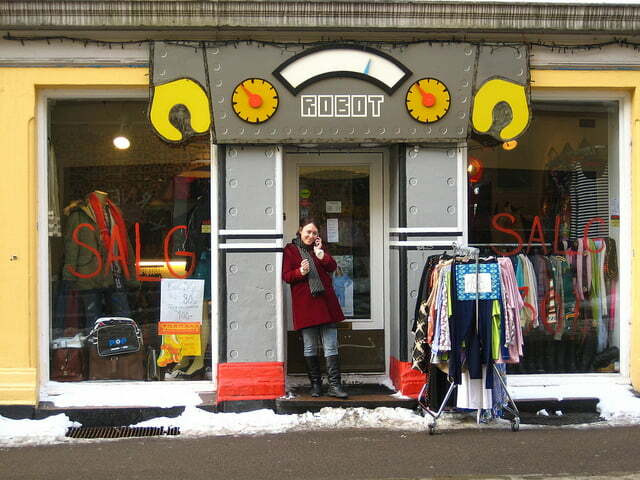 They have two shops, Trabant Vintage and Robot. 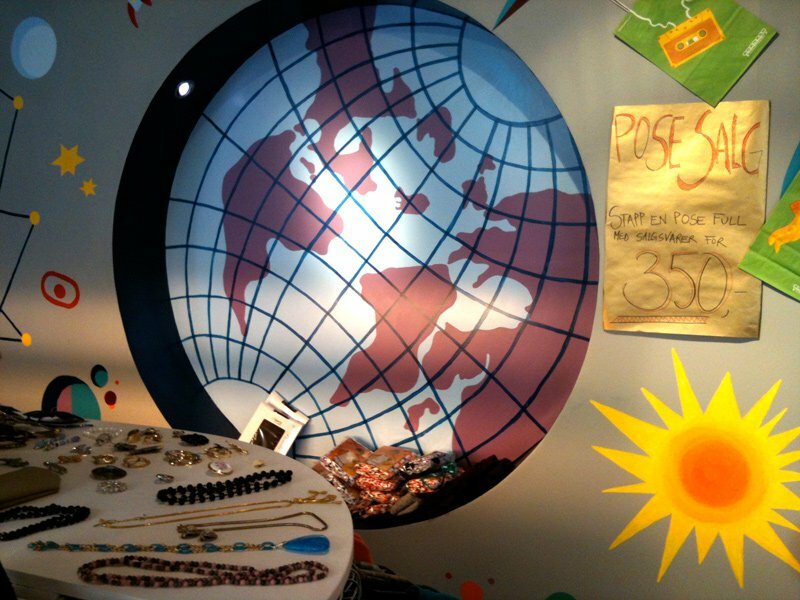 The latter is a funky little store right next to the Chillout Travel Centre, with loud music enticing you into the store. I found a great old vintage blue adidas training top in there that I am still umming and erring about buying. 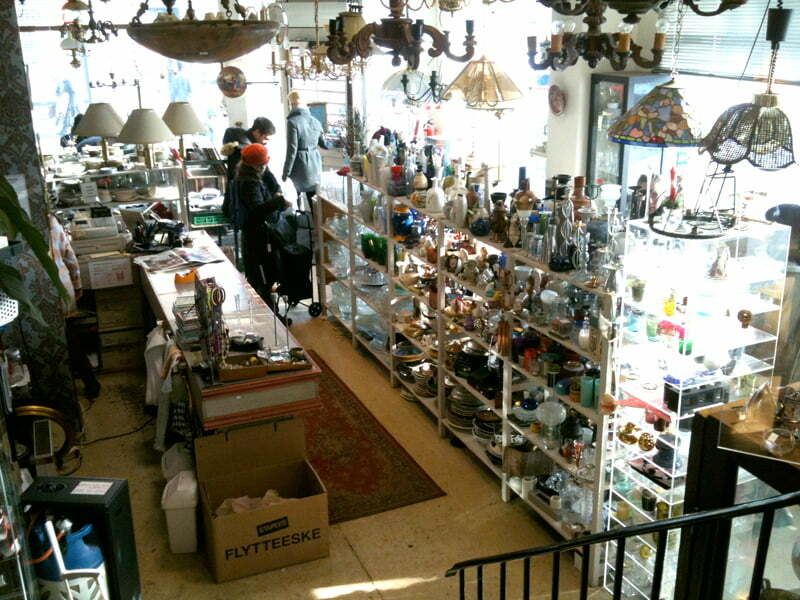 At the very bottom of Markveien is Marita Butikken, a treasure trove of “lovely things”, such as plates and mugs, old furniture, old magazines and books, lampshades, trinkets and well, pretty much everything. 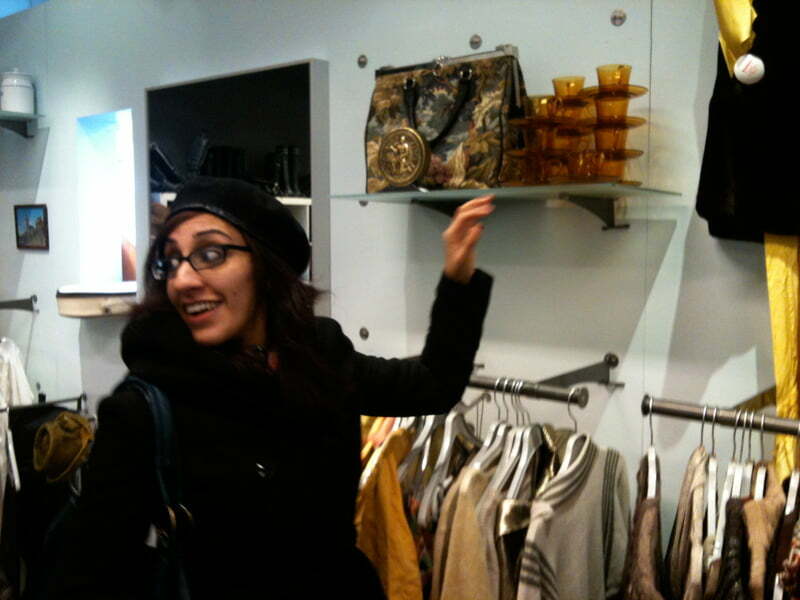 It's the kind of place where if you asked for something, they'd probably have it lying out the back somewhere. 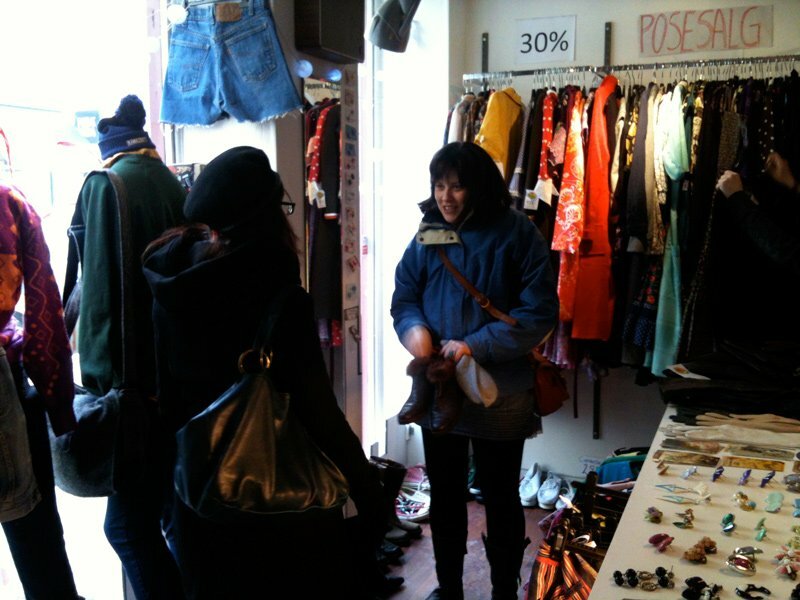 A number of other boutiques and stores are nearby selling anything and everything. 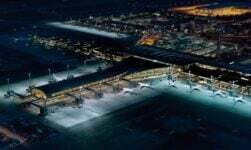 A few worth a shout are Mitt Lille Hjem, Kandaka, Sprell, Liten & Tøff and the Hunting Lodge. 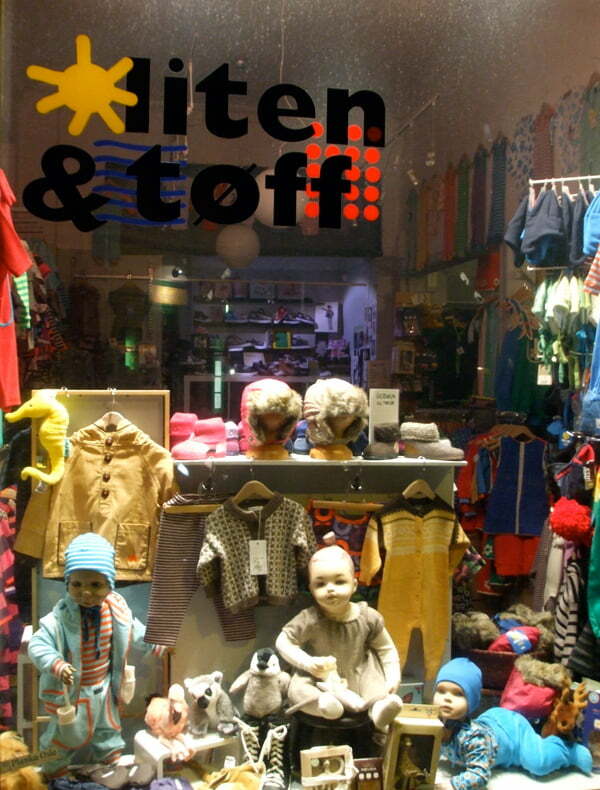 Liten & Tøff sells some great kids clothes while the newly-opened Hunting Lodge seems to celebrate the simple wonder of the T-Shirt. Even if you're not planning on buying anything, this is a great street for browsing, window shopping or just passing some time. 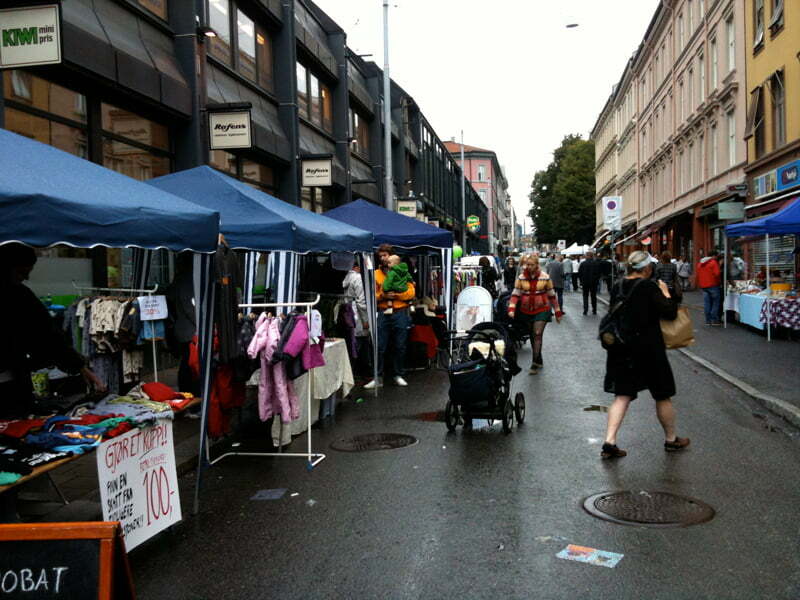 It's also well worth checking out Markveien and the wider Grünerløkka area on Markets Day – usually Sundays and sometimes (monthly during summer I think?) there are extra stalls and live bands. 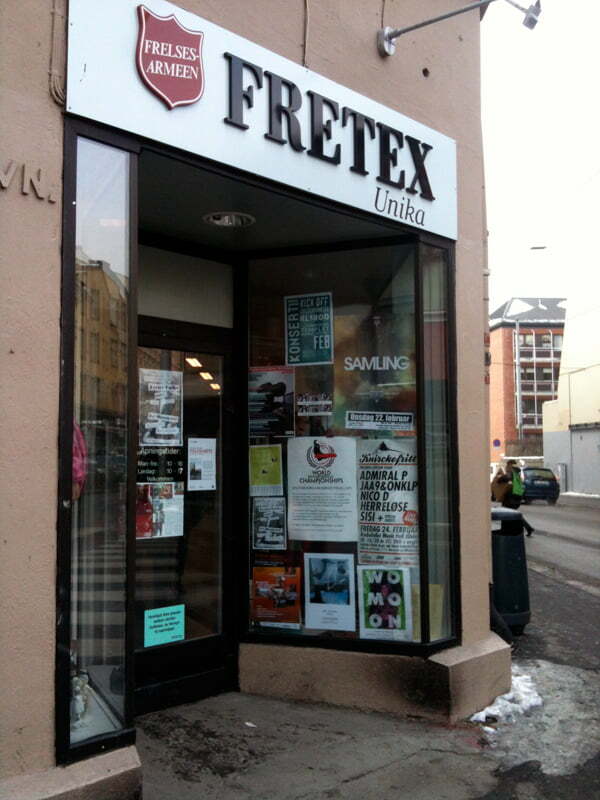 It's not just shops that make Markveien great. 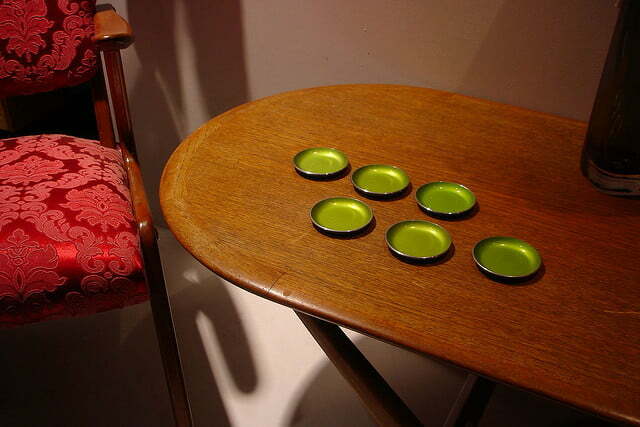 There is a wide range of restaurants and cafes including Barcelona Tapas, Markveien Mat og Vinhus and Villa Paradiso. Markveien's buildings become more residential the further up you go, but there are still some gems to be found, one of which is Glazed & Amused, where you can paint your own mugs, plates and other ceramics. 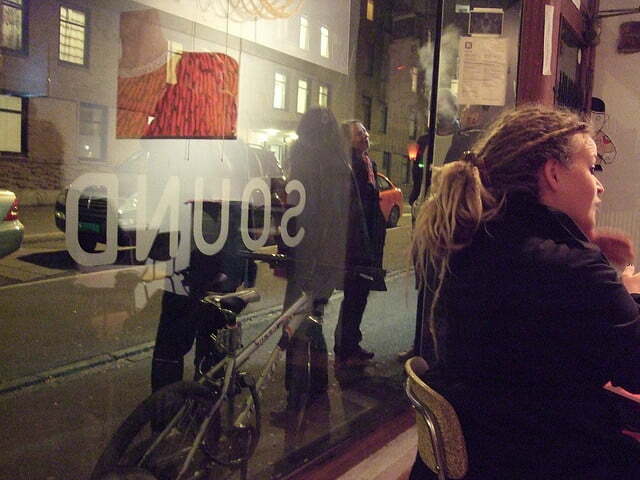 The main drinking dens are elsewhere in Grünerløkka but down at the foot of Markveien you'll find the über-trendy and tiny Sound of Mu, worth checking out if you like random gigs, exhibitions or very tight spaces. That looks a great area, vibrant and interesting at the same time. 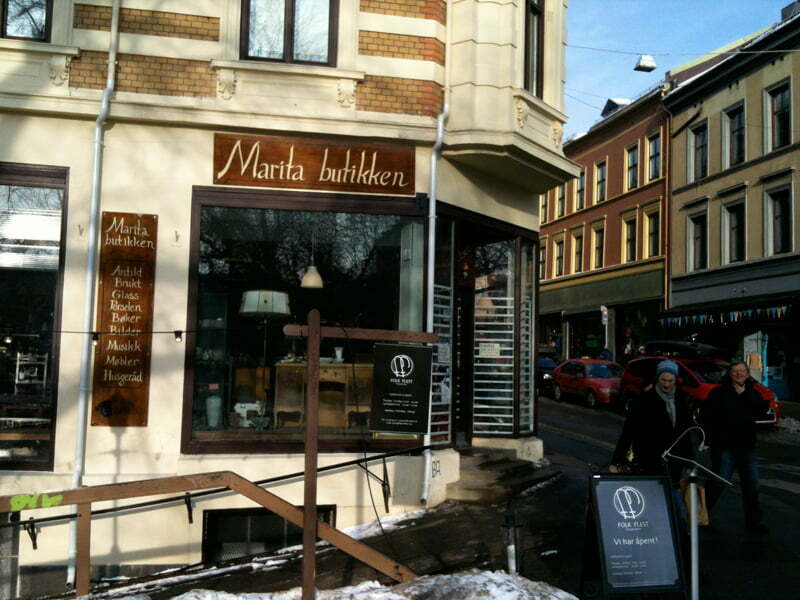 A trip to the Marita Butikken shop in July for a browse perhaps? 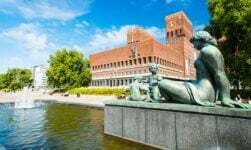 For such a small city there seems to be a lot to explore and enjoy, I’m certainly looking forward to my second visit, but I’m sure it won’t be long enough! It seems we’ve only scratched the surface so far, so a third visit will almost certainly be on the cards, hopefully we’ll be able to find our own way around by then!